We often get inquiries from students and staff missing journal abbreviations or with incorrect abbreviations. If you use EndNote, you will get these abbreviations automatically as long as you have activated a journal name list (term list) in your library. EndNote has several lists of journal names and abbreviation. The medical list has to be activated for your library. It is important to do this before you start adding references to the library. However, it is possible to add the list to a library with content too (see below). You must only import one journal list to your library. The medical list covers most subject areas within medicine and health very well. 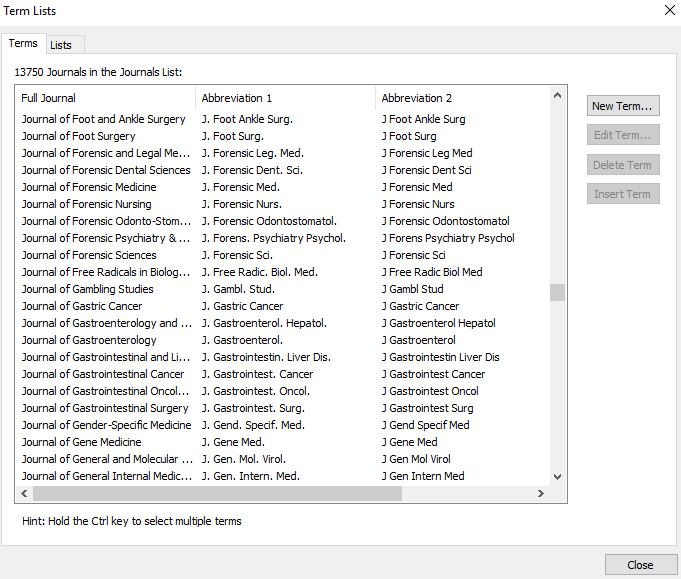 EndNote’s medical journal list contains almost 14 000 journal names and abbreviations. If you have a Windows computer, the folder containing the journal lists will automatically open. Choose the file “Medical” and click “Open”. A small window will confirm that the medical journal list is added to your library. If you have a Mac, you can follow the same procedure, but you have to find the medical term list manually (Applications –> EndNote X8 –> Terms). A more detailed guide on how to import a medical journal name list for a new EndNote library is available. If you have a library already use this guide for importing the medical list in a library with content. The journal name list is not permanent. If you add new references to your library from journals not in the list, the journal name and/or abbreviation automatically be added to the term list. 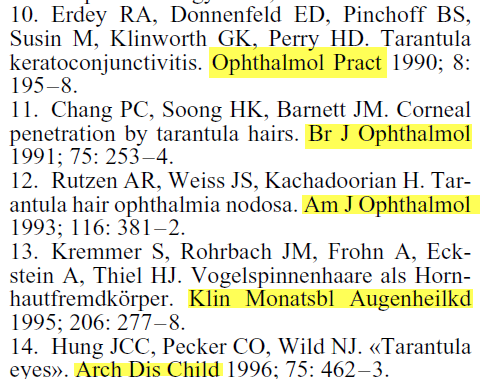 Journal name errors may occur. There are different reasons for this and sometimes it is necessary in open the medical term list and manually correct the information. At the moment we only have an Norwegian guide how to do this, «En eller flere referanser mangler standard forkortelse», but you can contact the library to get help. Best of luck with publishing!